April 10, 2019 | New York, NY — Scholars at Risk (SAR) and the Association for Freedom of Thought and Expression in Egypt (AFTE) have filed a joint submission with the United Nations’ Universal Periodic Review (UPR), highlighting attacks and pressures on higher education in Egypt. Drawing on data collected by SAR’s Academic Freedom Monitoring Project and AFTE between October 2014 and March 2019, the submission addresses legal pressures on the university space, as well as arrests, violence (including killings), restrictions on travel, and administrative and disciplinary actions targeting members of the higher education community. Among the legal pressures discussed in the submission are amendments to Egypt’s Law Regulating Universities, which have significantly impacted university autonomy. Among other things, the amendments vested Egypt’s president with the authority to appoint university presidents and other leadership; allowed university presidents to expel students unilaterally; placed universities under military control, permitting military authorities to enter campus at will; and shifted certain vaguely defined crimes or attacks on universities to the jurisdiction of military, rather than civilian, courts, thus limiting due process protections. Under these amendments, thousands of student protesters were reportedly subjected to military prosecution. SAR and AFTE further detail a number of incidents involving violence, wrongful arrests, and university disciplinary proceedings against scholars and students. These include the killings of four students; mass arrests of more than 800 student protesters; and disciplinary penalties, including expulsion, imposed by universities against both scholars and students for political and academic expression. In addition, the report describes a number of actions taken by Egyptian authorities apparently aimed at preventing scholars from entering the country to give lectures, attend conferences, and otherwise transmit ideas. 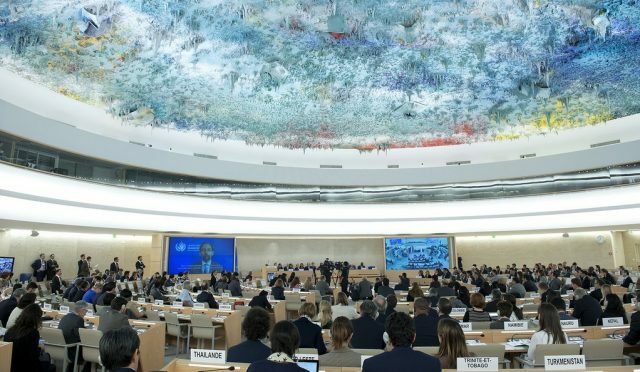 SAR and AFTE urge UN member states to call on Egyptian authorities to reaffirm their commitment to academic freedom by considering a set of recommendations. These include repealing laws limiting university autonomy; unconditionally releasing scholars and students imprisoned for non-violent free expression; conducting investigations into violent attacks on scholars; ending policies that restrict scholars’ travel; and endorsing the Principles of State Responsibility to Protect Higher Education from Attack. SAR and AFTE stand ready to engage international actors in dialogue about incidents, trends, and recommendations included in the submission.